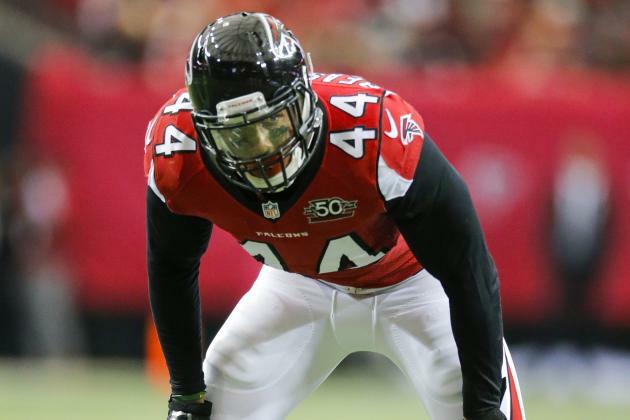 Vic Beasley going against Seattle's struggling offensive line could be the story of Saturday afternoon. Both Jeremy and Joe had success picking NFC games last weekend, zeroing in pretty quickly on the idea that Seattle was just a terrible matchup for Detroit, and that New York just didn't have the offensive firepower to keep pace with Green Bay. Both home teams held court in the Wild Card round, but it seems like the top two seeds in the NFC are relatively beatable (especially considering Seattle already beat Atlanta this season and the Cowboys have averaged just 316 yards of total offense over their last six games, and the team they're playing against has now won seven straight games, and most of them have been rather convincing). The last time the No. 1 overall seed failed to make the Super Bowl from the NFC was 2012, so it remains to be seen if Dallas can keep the streak alive. That's still a month away though. For now, we deal with Round 2. The Lions didn't have a ton of success against Seattle's defense last weekend, but on the few drives that they were able to move the ball, the majority of their success came either (a) attacking the underneath middle of Seattle's Cover 3 shell, or (b) on misdirection screens. Detroit couldn't find enough consistent success in these areas (or success in general in any other area, really) to make a difference on the scoreboard, but it represents an opportunity for Atlanta to attack. The Falcons had the best offense in football by a pretty wide margin. There wasn't anything they did poorly. Between Devonta Freeman and Tevin Coleman, they had the best 1-2 punch at running back in the league, and Mohamed Sanu and Taylor Gabriel complimented Julio Jones quite nicely. Coleman and Gabriel are the two guys worth noting here (and not just because they have first names for last names). Coleman led all running backs in receiving DVOA from Football Outsiders (meaning his receptions were the most valuable on a per-play basis of any running back in football), and he was so far ahead of the field that the player in 2nd place (Spencer Ware) actually finished closer to 11th place than he did to first. Coleman was absolutely deadly catching the ball out of the backfield. Taylor Gabriel, meanwhile, finished first in the league in DVOA among wide receivers, and Julio Jones was second. What does this mean? It means that one of Seattle's weaknesses on defense is going to have to stop two of Atlanta's most explosive offensive players. Even if you assume Richard Sherman can play Julio Jones to a draw, it will be tough for Seattle to keep the rest of Atlanta's offense in check. I don't think I'm spoiling any secrets when I say Seattle's offensive line is really bad. They allowed 42 sacks, the sixth-worst figure in the league, and after dominating opponents on the ground over the last handful of years, the Seahawks finished 2016 25th in rushing yards and 24th in yards per carry. Yes, Thomas Rawls churned out over 160 yards last weekend, but that was against Detroit, whose front seven was among the worst in the league. Sledding will be tougher against Atlanta, who Seattle managed just 72 rushing yards against in their matchup back in October. The key matchup here is Seattle's offensive line going up against Vic Beasley, the NFL leader in sacks. Outside of Beasley, the Falcons have no pass rush to speak of (Adrian Clayborn was second on the team with five sacks), so he'll need to have a good game in order to disrupt Seattle's passing attack. When the two teams played in October, the only sack that Atlanta mustered came on a blitz from cornerback Desmond Trufant, and Russell Wilson was able to do pretty much what he wanted to do downfield. If that happens again, this might be a bad day for Atlanta. On par, Atlanta's defense just isn't very good. They're able to make teams one-dimensional by jumping out to early leads, but (a) that only goes so far, and (b) you have to actually, you know, score early for it to work. If Seattle's defense is able to slow down Atlanta's offense, then Atlanta's defense will need to hold serve. If Vic Beasley plays out of his mind and pressures Russell Wilson a half-dozen times, then Atlanta is probably okay. Anything less than that, and maybe not. Seattle handled a beaten and bruised Matthew Stafford and the Lions offense last week, but this defense isn't as unbreakable as it has been. Combine that with a streaky offense and less-than-stellar offensive line, and you have a gambler's nightmare. With no Tyler Lockett on the outside, and a rush offense ranked 25th in the league, who knows how Seattle will manage to keep up with the Falcons this week. But seriously, they could. I have no idea what to expect from this offense on a week-to-week basis. The bye came at a great time for Atlanta, as two of the Falcons' best players were dealing with nagging injuries. The league's sack leader Vic Beasley (pictured above) should be good to go after resting his injured shoulder, and stud receiver Julio Jones had time to rest a nagging turf toe injury. One thing that may be a concern is that Atlanta only played one playoff team the last two months of the season (Kansas City), and lost that game, albeit in a flukey way. Sure, a win is a win in the NFL, but will Atlanta be ready for Seattle's still solid defense after games against New Orleans, injury-riddled Carolina, San Francisco, Los Angeles, Arizona, Tampa Bay and Philly. I've been saying it for most of the year, but I just don't trust Seattle's offense. They disappear at the worst possible time way too often for me to trust them in the playoffs. Against Detroit? Sure. Detroit finished dead last in defensive DVOA, and didn't have nearly enough offense to compensate for that. Atlanta has a (slightly) better defense and a (hilariously) better offense than the Lions do. Is it possible that Seattle's defense lays the smack down, and their offense once against burns at maximum efficiency against a still-pretty-not-great Atlanta defense? Sure. Of the four games this weekend, this is the one I'm the least confident about. But this is a matchup of strength vs. strength and weakness vs. weakness. Atlanta's offense is better than Seattle's defense, and Seattle's offense is better than Atlanta's defense. There's no doubt about that. But seemingly way too often, the NFL playoffs seem to boil down to Team X could do Their Thing better than any other team's Thing. In 2007, the Giants' pass rush was better than anybody else's anything (including the Patriots' offense). In 2012, Joe Flacco (I'm still incredulous) was hot and better than anything else in the league. In 2013 and 2015, the Seattle and Denver defenses were better than any other team's anything (including Denver's offense in 2013 and Carolina's offense in 2015). Between these two teams, it seems like there's only one Thing that either of these teams have that fit that bill - that's Atlanta's offense. A month from now, we're more likely to be saying "wow, Atlanta just outscored everyone for a month straight" than we are to be saying "wow, Seattle's offense really rallied in the playoffs." At least I think we are. So I'll roll with the Falcons. For now. Ditto, I really don't trust this Seattle team offensively, and their numbers against the pass have slipped a little bit. There is a scenario where I could see Cliff Avril and company getting after Matt Ryan, but I think the most likely outcome is a balanced offensive performance from Atlanta, and I just don't know if Seattle has that in them. Am I really gonna trust that offensive line and those running backs? David Irving is far from a household name (unless you count that British holocaust denier but that's obviously not who we're talking about here), but he very well could be a month from now. He was an undrafted rookie in 2015, bounced from Kansas City's practice squad to Dallas', got into a few games, and then started this season in total obscurity as well (he had a total of 1.5 sacks and 20 total tackles in his first 23 career games). However, over the last month, the Cowboys have started to use him more and more in pass rush situations, and he's been alarmingly productive. He had 1.5 sacks in games both against Tampa Bay and Detroit and added a handful more hurries and pressures. He finished the season with 13 hurries, which doesn't sound like a ton (it was tied for 74th in the league - Philadelphia's Brandon Graham led the league with 40), but it was in the same ballpark as Clay Matthews (15), Terrell Suggs (14), Bruce Irvin (14), DeMarcus Ware (14), Julius Peppers (12), and Muhammad Wilkerson (11). And keep in mind, the Cowboys kept Irving on ice for most of the season - most of this production is coming just over the last few weeks. For a defense that lacks a singular talent among the pass rush, Irving has the potential to be the breakout star of the postseason. Dallas has relied mostly on scheme to generate a pass rush this season (they finished in the middle of the pack in Sack Rate despite their team leader just recording six sacks individually), but schemes can be tougher to execute in the postseason when the cream rises to the top. Against an offensive line as strong as Green Bay's, the Cowboys might need someone to step up above and beyond. Hidden Points: Does Experience Matter? One of these teams has a buttload of postseason success and a few players with Super Bowl rings already to their name. The other team is chock-full of rookies and castoffs from around the league. Throughout the history of the NFL, and sports in general, it seems that experience matters. However, I've always been of the opinion that talking about "experience" is usually just confirmation bias - the experienced team doesn't win because they're experienced, they win because they're better, and being that good has led them to be in the postseason a lot. On top of that, experience matters... until it doesn't. Experience "mattered" when Green Bay beat Washington in last year's playoffs, but when "experienced" Green Bay went up against "inexperienced" Arizona the next weekend, Arizona won because they were better, and experience had nothing to do with it. This is the quintessential test-case for whether or not experience matters. Green Bay has been in the postseason every year since Rutherford B. Hayes was President, while the Cowboys finished out of the postseason five times in the last seven years, and their two most relevant offensive players are rookies. However, does a Green Bay upset prove that experience matters? Or did it just boil down to the fact that they have an all-world quarterback taking advantage of a mediocre secondary? The fact that Aaron Rodgers has a buttload of postseason experience doesn't really matter - if Rodgers ends up doing it, there's a good chance that Derek Carr could have done the same thing. It's not like the game is different in January. It's still football. Quarterbacks don't all of a sudden have to punt the ball to their defensive lineman to score 4 points. Whichever team wins will win because they're the better team (or, well, because they got lucky at the right time - but you get the idea). Green Bay had been red-hot offensively coming into last week, which we mostly covered in last week's preview, and that continued against the Giants last Sunday. Aaron Rodgers actually missed on a few throws, but still managed to pass for 362 yards and four touchdowns with no turnovers. Ho hum. All this with a basically non-existent running game, and defense that played aight, not great (the Giants helped the Packer D out a bunch). The major difference this week will be whether or not the Packers lose a step on offense without star receiver Jordy Nelson. After leading the league in touchdown grabs during the regular season, Nelson broke two ribs against New York last week, and the Packers have ruled him out for the game against Dallas. In the past, when Nelson has been out, Rodgers' numbers have felt it, and so has the Packers' win total. Dallas' rookie stars have been the story of the season, and now we'll get to see just what quarterback Dak Prescott and running back Zeke Elliot can do in the playoffs. I'll let Jeremy address whether or not they can get it done (or maybe touch on that in my pick), but the big injury news is that it appears Dallas will have stud left tackle Tyron Smith in the lineup against Green Bay. Smith sat out the season finale as a precaution with an MCL sprain, so two weeks off should have him good to go, and the Cowboys will also have corner Morris Claiborne's services as well. Dallas will have access to nearly a full arsenal, and with the bye, plus a meaningless game where it could rest starters, this team is in mostly great shape. Another thing I've been saying all year - I think Dallas is a bit over-valued. I don't think their defense has been truly tested yet. The best offenses they faced all year were Washington twice, Pittsburgh, Green Bay, and, oh wait, that's the whole list. And even Green Bay they faced during that six-week stretch when the Packers suddenly forgot how to football. So how did those other three games go for Dallas' defense? Uh, not well. They gave up 432 total yards to Washington in Week 2, 448 to Pittsburgh in Week 10, and 505 to Washington on Thanksgiving. The Cowboys were able to win all three games in shootouts, but none of them were easy. I think both of these defenses are rather lousy. I can't imagine this being a low-scoring game, unless both teams start grinding out 14-play touchdown drives (not out of the realm of possibility, but I have my fingers crossed for a barn-burner). At that point, it comes down to which of these offenses you think will be able to put up more points. One has Aaron Rodgers and an absurd stable of wide receivers (who finished 4th in points and 8th in yards and 4th in DVOA), and the other has the best offensive line in the league, a hyper-efficient running game, and an all-world No. 1 receiver (who finished 5th in points and 5th in yards and 3rd in DVOA). I have two rules in these situations. The first rule is when in doubt, take the better quarterback. The second rule is when in doubt, take the better offensive line. The rule that supersedes both is when in doubt, take the points. I'll have to break one of those rules (although a heavily biased fan might try to argue that Green Bay's offensive line is better than Dallas' and there would be a semi-legitimate argument to be made), but I'll have the other two in my pocket, plus the points. If Jordy Neslon was good to go, I would probably take the Pack, but I'm just having visions of the Jordy-less Packers from last year running through my head, and they ain't pretty. I mean, Green Bay will still be able to move the ball against a less-than-stellar Cowboys team, but I think Dallas controls the clock with Zeke, and Dak shines under the bright lights in his first playoff start.